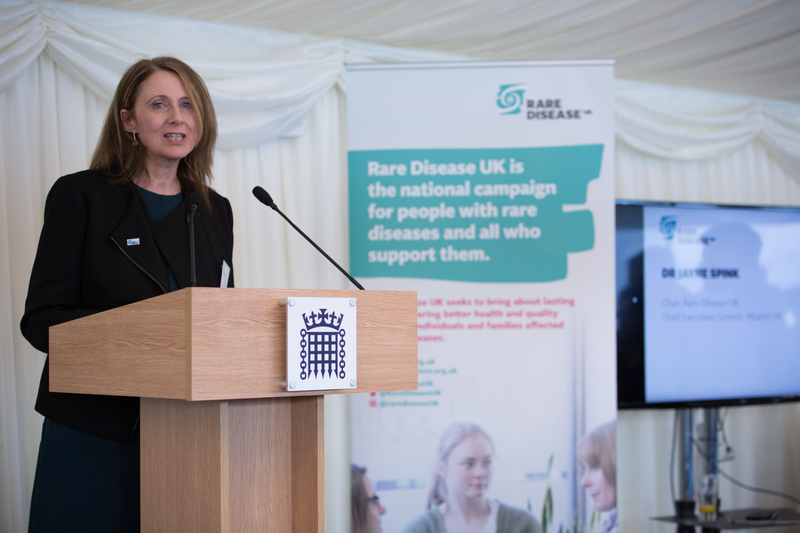 The UK Strategy for Rare Diseases was launched in November 2013 after a successful multi-stakeholder campaign led by Rare Disease UK. The Strategy requires biannual progress reports, the second of which has just been published. Looking at the Second Progress Report from the UK Rare Diseases Policy Board, there are two conclusions to be drawn. On the one hand, it is gratifying to see progress in the area of rare diseases in the UK in the past two years, and to see collaboration across the UK. On the other hand, excepting some notable initiatives mentioned below, it is worrying how little work appears to have been directly driven by policy initiatives resultant of the UK Strategy for Rare Diseases. The European Reference Networks (ERNs) are an excellent development, providing an infrastructure for collaboration and expertise sharing between institutions across the European Union (EU). Their role is highlighted in terms of coordination of care and research, though they will also play an important role in diagnosis. UK institutions are leading six of the twenty-four Rare Disease networks, and provide around a tenth of all of the membership. The networks, when they are fully up and running, are likely to speed up diagnoses for some rare diseases by allowing faster consultation with a wider pool of expertise. Another important outcome will be their ability to rapidly disseminate best practice, driving up quality of care. The 100,000 Genomes Project has become a UK-wide initiative and is now listed at the beginning of each chapter. This is welcome, though some of the buy-ins from the devolved administrations have not been as fulsome (even when adjusted to be per capita) as the original project in England. There has been tremendous progress in these past two years in delivering sequencing technology to where it is needed. We have seen real results for the undiagnosed community. As a result of participation, many members of our support network, SWAN UK (syndromes without a name), can now move to our ‘graduate’ group for families who have received a diagnosis. The legacy of this work is being secured with a National Genomics Service on the horizon and a National Genomics Board founded. Ultimately, success of this programme will be measured by improvements to patient care driven by better and more appropriate access to whole genome sequencing, and the resulting improvements in diagnosis rates. As our report found, improvements will also need to be made for the steps that follow a new diagnosis. The ERNs and 100K genomes were both initiated before the UK Strategy was published. They would have happened anyway. Other valuable improvements mentioned in the progress report arise from different stimulae, such as the Life Sciences Industrial Strategy and the Sector Deal, and the creation of the Health Research Authority. Why should this matter if we are getting the progress we need? The problem is that we are not addressing all of the needs identified at the inception of the Strategy and those where the gap between aspiration and realisation remains the greatest are those that would require new investment or infrastructure to support their development. Under coordination of care, the only activity in England is the fact that NHS England is in the process of developing a ‘rare disease insert’. (This plan was actually reported as progress two years ago, when it was described as an ‘annex’). Coordination of care is a crucial issue for rare disease patients, four years into the implementation of the Strategy and we have not seen major initiatives to address the problem. This is one example that exemplifies an entirely tractable problem – without action arising directly from the Strategy, we are likely to continue to have a very patchy approach. Progress in the area of research coordination (the National Institute of Health Research’s many initiatives and the devolved administrations’ adoption of genomic strategies) and in surveillance (the National Congenital Anomaly and Rare Disease Registration Service (England), the Congenital Anomaly Register and Information Service (Wales), and programme development in Scotland and Northern Ireland) show how much can be achieved with targeted initiatives to solve the problems our community worked so hard to identify in designing the Strategy. A major error over the first three years of the Strategy was the reluctance of the Department of Health and Social Care (England) and NHS England to prepare an implementation plan for England. This would have facilitated greater collaboration between nations – collaboration is often best when the biggest participant communicates their plans – and would have allowed our community to hold those responsible to account for gaps in implementation, such as coordination of care. As of January 2018, we now have those implementation plans. The two remaining years of the Strategy will be crucial. We need to make up for lost time. We need to see more collaboration and sharing between the devolved administrations, facilitated by England’s intentions being made clear. Rare Disease UK’s Patient Empowerment Group will continue to work hard to support those that request advice or consultation. Finally, a key conclusion from the UK Rare Disease Forum’s Annual Conference appears to have been missed out from the report. If the UK Strategy for Rare Diseases implementation were to halt in two years’ time – at the end of the original time frame – a great deal of valuable work may stop or lose momentum. Now is the time to take action to review and refresh the Strategy. We must plan for the future before it is actually upon us!